Orlando had a chilly morning; it was in the 40s as I left for work. Now that isn’t cold for a lot of people living up north, but it is quite a difference for the central Florida area. I’m not complaining though, the cold felt fantastic, especially because it is a true Hangover Thursday. When you have to be awake, nothing feels better then cold and dark. I could have happily fallen asleep on my front porch. By my drunken count last night there are 11 beers left on my beer list, so I’m very close to having my own glass at my local drinking establishment even if I didn’t count correctly. I’m going to try and pace it so that I finish the list on New Years Eve because that seems like a pretty good way to end it. That does not mean Hangover Thursdays will be going away. We’ll just be talking about other drinking topics. So what did I drink last night? 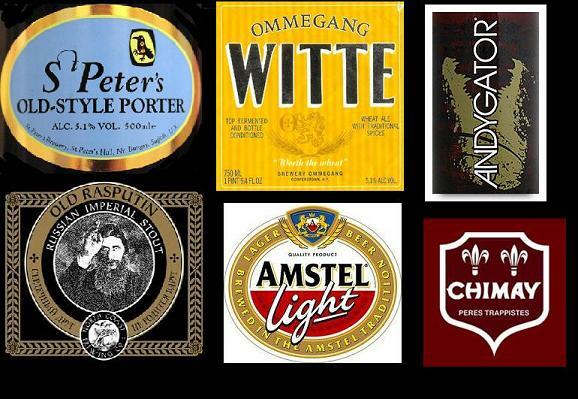 Beers 102-107 are St Peter’s Old-Style Porter, Ommegang Witte, Andygator, Old Rasputing, Chimay, and Amstel Light. One of these things is not like the other, one of these things just doesn’t belong. Sorry, had a Sesame Street moment there. 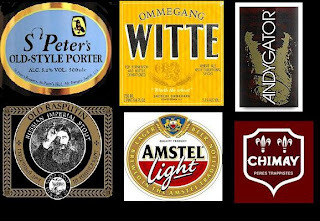 Amstel ended up with this group because it was the last item on the back of the list and I want to at least have one side finished. If you get a chance, check out St Peter’s Old-Style Porter, it is a tasty beer. I also have one of the best bosses in the world. He just informed me he is going on a breakfast burrito run, just what I needed to get my head on right.